Etana will be walking the red carpet at the Staples Centre in Los Angeles. She has been nominated in the Best Reggae Category, in the Best Reggae Album category, last December, in the 61st Grammy Awards. It will be her first time at such a big award show. And the other Albums her “Reggae Forever” album will be competing against will be Sting and Shaggy’s 44/876, Ziggy Marley’s “Rebellion Rises”, Protégé’s A Matter of Time and,” Black Uhuru’s “As the World Turns”. Her nomination is truly special as she is the first female artiste to be nominated in 21 years. The three other female nominees where Rita Marley “We Must Carry On” . Judy Mowatt, ”Working Wonders” and Sister Carol “Lyrically Potent” Album sales have been up for Etana and there has been an increase in the exposure she is receiving around the world since the nomination..
“Reggae Forever was released in March 2018 and it was number one on the Billboard Reggae Albums Chart for two weeks, following her 2014 album “I Rise” which was another one of her chart toppers. In April, the artiste is planning to start touring the United States her tour will end in May. She is currently working on an album and she also has a new single “Show Love” with Bugle. 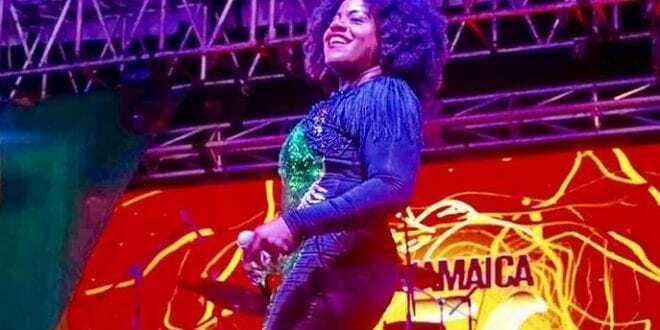 It is alleged that she is planning to capitalize on her success with “Reggae Forever” and do more collaborations with other popular artistes. Etana (The Strong One) leaves behind he Political statements that caused her to look bad and put out music that is of High Quality. Her soulful voice glues together he dancehall beats, acoustic songs, the Roots Reggae and the Old School Ska in a great way. The song “Spread Love” which was co-written by Tanya Stephens adds an African touch to the “Reggae Forever” album. The album is a winner and there are fans who believe that Etana will be this year’s winner at the Grammy’s.